THUMBS UP from me! Thank You! Thank You! Thank You! 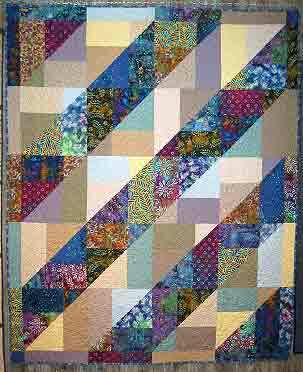 You've created another delightful design (Turning Twenty) for quilters~I really enjoyed it~ I'm anxious to get it hung up in my shop...I think it will be striking! A couple of new customers saw it while it was on the machine and want me to put it on the list of classes... Our quilting group has a weekend retreat on the 9th, 10th, and 11th. I plan on cutting out another one...red, white and blue. I sure hope shops make one for display...it makes all the difference in the world!